LORE: the generational passing down of knowledge by story, myth or legend. It is the way through which our lenses are formed, and it is through it that our entire belief systems come to be. Today’s guest, Jeanette Schneider, knows all too well about the power our own stories have over our lives. She has set out to help women rewrite theirs- and to help them pass new stories down to the daughters + sons that will go on after them. 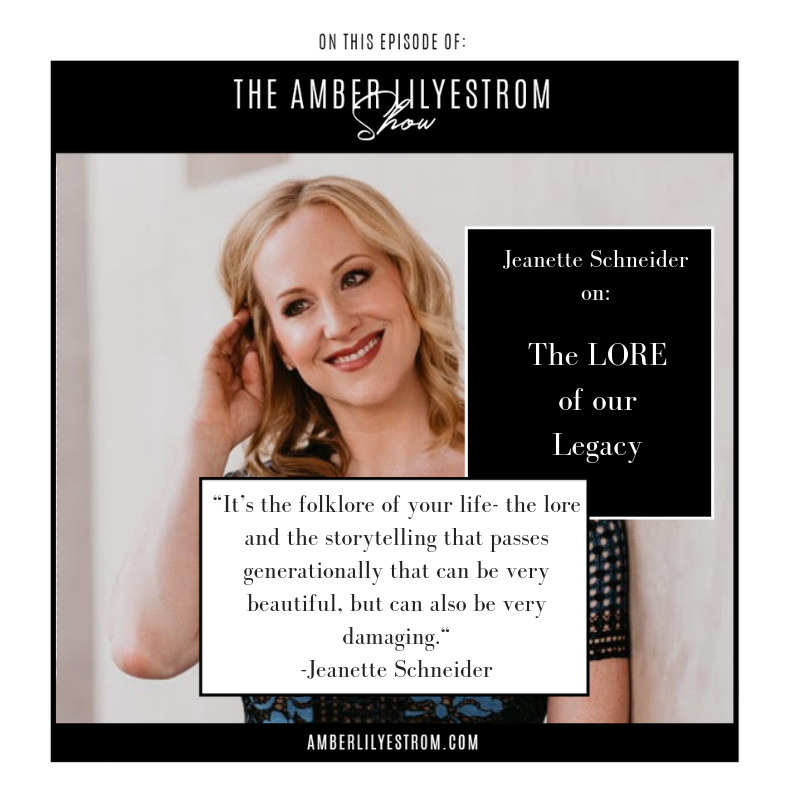 Jeanette Schneider is the founder of Lore Advocacy, a network of professional women whose goal is to inspire women to change the world through a gender lens of equality, self-actualization and the fearless shattering of glass ceilings. Jeanette stated Lore and Little Things (https://loreandlittlethings.com/) in 2015 as a platform catering to women who want to be part of a conversation that is positive, present and offers no advice other than trust yourself and harm no one. Her debut book, Lore: Harnessing Your Past to Create Your Future was released in September 2018. I am honored to share this beautifully moving conversation with you today. My hope is that it will spark you to uncover and rewrite the damaging stories that have been handed down to you; so that the little ones we will one day send out in to the world won’t have to.